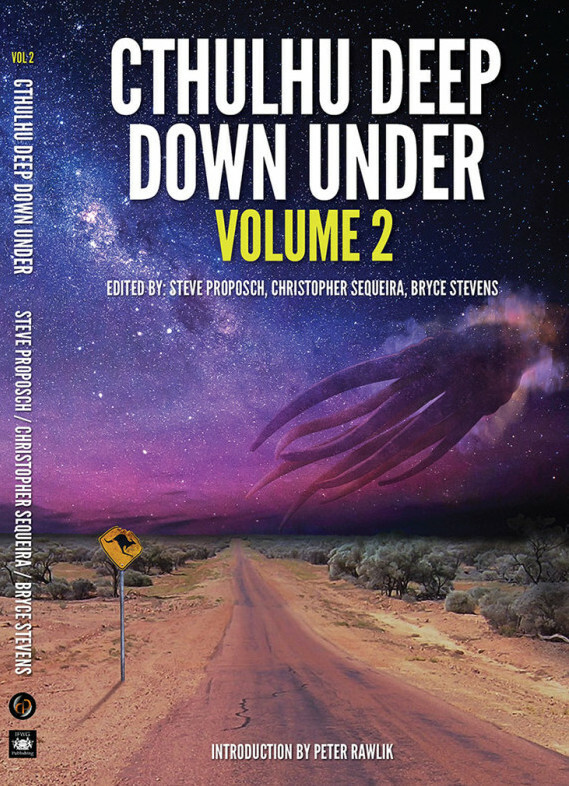 Released on the first of August this year in Australia, UK and New Zealand is the second volume in IFWG Publishing Australia’s Cthulhu Deep Down Under series, featuring a superb group of Australian and New Zealand authors writing tales referencing H.P. Lovecraft’s Cthulhu Mythos. It will be released in North America on 1 September 2018. H. P. Lovecraft pioneered a fusion of terror and science fiction themes, and is widely credited as having invented the sub-genre of ‘cosmic horror’. While America’s New England was the focus and setting for many of Lovecraft’s tales, the Southern Hemisphere held a fascination for him. Australia, New Zealand and Antarctica were featured locations in his Mythosian novellas…. Cthulhu Deep Down Under Volume 2 takes us back below the equator, into the bizarre and headlong towards horror. From mist-shrouded peaks and canyons of Melanesian islands, through rainforests and scorching deserts of the island continent of Terra Australis, and across the Tasman Sea to the inhospitable hinterlands of New Zealand. My story, “Time and Tide” — the first I’ve written in nearly two years, thanks to a novel I’m still attempting to edit (more on that in a later post) — is among this elite group of tales. And it has an interesting background. For “Time and Tide”, I was able to draw upon an incident that may have occurred in the south-coast town of Mollymook earlier this year, reputedly experienced by Douglas Ormsham, a strange fellow who first contacted me via my main website back in 2005. Claiming to have experienced some remarkable and otherworldly events presaged in the diaries and other records of his long-dead great grandfather Dr Hugo Drakenswode, Ormsham began an on-line dialogue that lasted for several months — before he mysteriously disappeared from the internet. The exchange, however, remains on-line under the heading The Drakenswode Correspondance and is worth reading as a background to “Time and Tide”. You can check it out here: www.roberthood.net/daikaiju-antho/drackenswode. As I indicate at the end of The Drakenswode Correspondance, I lost contact with Ormsham in July 2005. But in February 2009, I received a brief handwritten note from him, delivered by physical mail, apologising for his silence through the intervening years and explaining that he was setting up his own website to continue posting some of Drakenswode’s observations and experiences as told in his surviving diaries and notes. He wanted to let me know that he had been forced to face many difficulties and had been in hiding. He had been rendered totally debilitated, mentally, emotionally and physically, and simply shut himself off from the world. He promised to tell me more about what had happened when he felt up to it. In the meantime, he intended to put as many of Drakenswode’s reflections and experiences up on the web as he was able to. The website/blog is titled Searching For Cryptonbury, and I have provided the link here. In the event, Searching for Cryptonbury contained several interesting posts — up until August 19, 2009, when again he fell silent. I checked every now and then, but it wasn’t until late January this year that I noticed he’d put up a new posting. It began apologetically (as usual), and was quite long. Then he recounted what he claimed was a real, very recent occurrence in which he played a direct part. It found it intensely interesting, and, as I was writing a story for Cthulhu Deep Down Under, Volume 2 — a story I felt was a failure so far, nowhere near worthy to be published, and which I was hence happy to bin — I asked if could re-work the horror he had undergone as a story. He took some persuading, but I eventually convinced him to go along with the idea, for various reasons I won’t go into here. At this juncture, he took down the blog post he had put up hours before (though I didn’t require him to) and sent me a hand-written diary of the ten days during which the world, or at least one small part of it, faced a bizarre and potentially deadly menace. With his approval, I wrote the story in diary form, both to honour his bravery and to keep it as immediate as reading his diary had been for me. Though I am credited as the author (on his insistence), the final work is not far removed from what he wrote in his original diary as the events unfolded. The question on your mind, no doubt, is this: Did these events really happen, or was it a delusion that Ormsham lived through while suffering from some form of mental breakdown? I would like to think that the latter is true, because if these events actually happened it completely changes the comfortably “normal” world on which we rely to maintain our sanity. The fact is the event was spectacular and destructive, with the police closely involved, yet there exists no official record nor newspaper reports to confirm the tale. Mollymook residents deny it as absurd. This puts considerable doubt on the truth of the matter. But to be honest, I’m actually not so sure it didn’t happen. I simply don’t know. 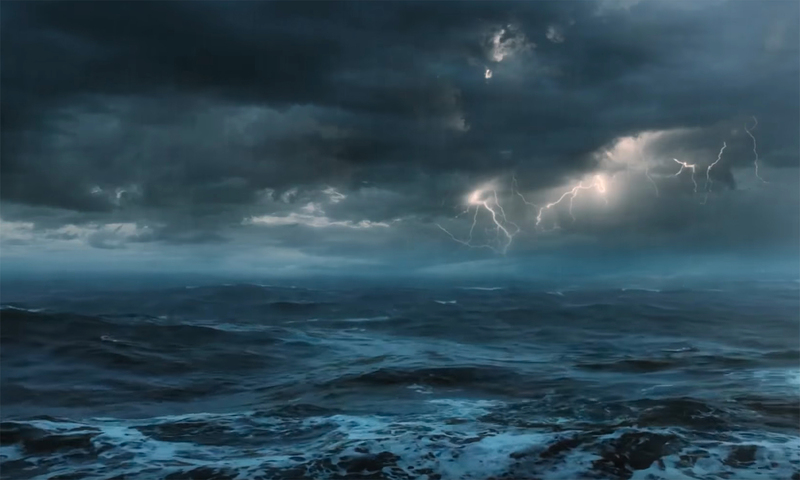 The temporal anomalies as depicted in the story, if it is at all true, may account for why knowledge of the event has completely disappeared from memory and indeed from our timeline. Who knows? So buy a copy of the book and read the story. You can decide for yourselves. 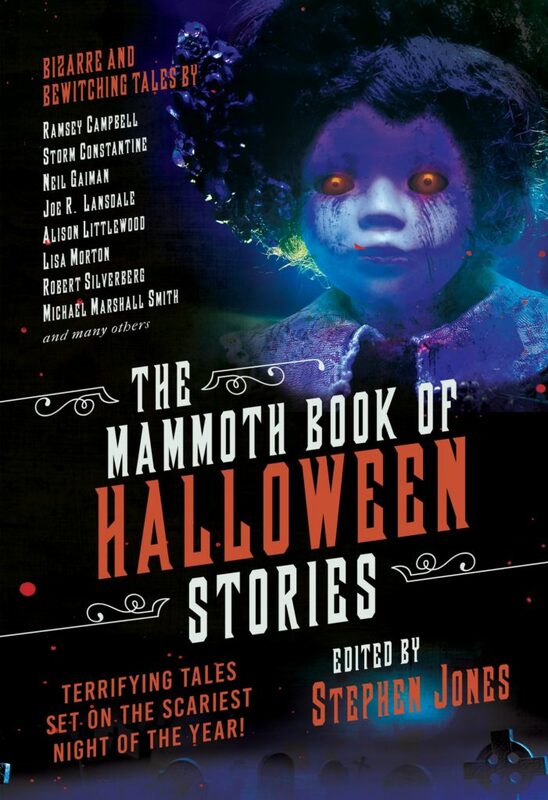 Just revealed by editor Stephen Jones is the cover for The Mammoth Book of Halloween Stories, due out next Halloween from Skyhorse in the US. The story is set in the Australian outback, where there is a distinct lack of snow as October/November is summer-time and temperatures run high, and where Halloween lacks most of the familiar iconography common to seasonal tales set in Europe and the US. Even so, it seems the dead are just as restless. This website is still under construction. Come back soon for news, views and more information on the work of Robert Hood, writer of horror, dark fantasy, crime and science fiction.